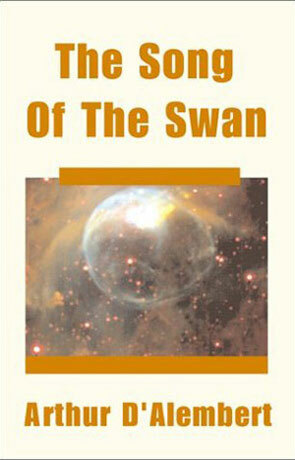 The Song of the Swan is a science fiction novel by Arthur D'Alembert. Normally I don't comment on the finish of a book or the price of the book that I'm reviewing. Normally there's no reason to. The Song of the Swan is different. First of all it mainly published in electronic form as an Acrobat document, which in it self is okay, but at about 6 US$ for 188 pages? I don't think so; if electronic publishing has to compete with printed books it as to do it on price and nothing else. I want to save money if I have to loose the joy of holding a good old- fashioned paper book in my hands. I did get a printed review copy of The Song of the Swan (my first review copy! ), but it didn't do much justice for the story, there is simply too many spelling errors and the binding seems cheap. I believe in electronic publishing, but this is not the way. Well, enough about the book, how about the story? The book doesn't say anything about Arthur D'Alembert, but my guess is that this is his first longer effort. As that it's quite nice, if a bit rough in places. Take the beginning, a quite poetic description of a supernova, but five pages of poetic supernova explotion is just to much. Susan soon finds a message hidden in the light from this supernova and the race is on to decode and understand the message. Most of the book is about the problems in keeping the message secret, but it also contains some interesting passages of semi plausible techno babble about information seeds. The ending manages to be both interesting and somewhat lame at the same time, quite a feat. When D'Alembert gets a bit more polished he could be quite interesting.